We all want to learn how to find more of that hidden money. 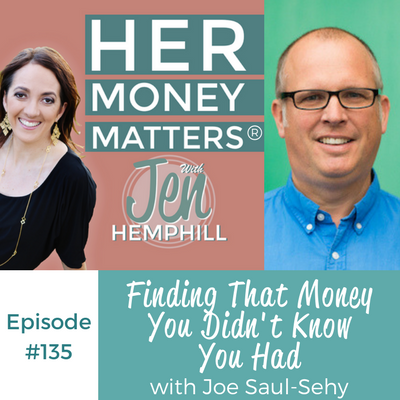 Our guest Joe Saul-Sehy shares some fantastic tips on how to do this, and better yet he doesn’t send you to hunt for the money in between the cushions of your couch! Joe is a creator and co-host of the “Stacking Benjamins” podcast; a show that emphasizes on financial conversations. He also has a course, “Millionaire’s Money Management System” that includes hundreds of money tips and tricks and how to implement them. For 16 years, Joe was a financial planner, and worked as a PR person for American Express. Growing up, Joe was in a family where discussing money in front of the kids was forbidden. Instead, the importance of working hard was strongly implemented by his parents. Because of this, Joe grew up with a strong work ethic, but no knowledge on how to manage money. His story truly began during his first year at military college, where he obtained his first American Express card. The first time he was able to leave campus as a freshman, Joe took his friends out to lunch and bought himself a sweater from Nordstrom. After raking in $300 on his credit card, Joe realized he had no way to pay it off. He lost the credit card within 90 days, ruined his credit, and was sent to collections. To get out of his unfortunate situation, Joe worked two jobs the following summer. He went in blind and hit a bunch of walls, but he learned from his mistakes and moved forward. While working at Amex, Joe had a great discussion with a multi-millionaire. In general, most believe millionaires are more disciplined. However, the multimillionaire Joe spoke to disagreed, stating the she was no more disciplined than him. Instead, she told Joe that her secret was in automation. In other words, when she she discovered something interesting, she had the wherewithal to acknowledge it, and figure out how to automate it so as to not stumble across it again. The idea of automating something right away allows for less thought on it later. Joe quoted David Allen, that “you want to be like water”. You cannot “be like water” if you worry about the little things. It will stop you from recognizing the big things when they come. Tip #1: Different companies like different age groups. An example could be insurance companies. Insurance companies will give the best deal to individuals in their marketed age group. To save money, every year after your birthday, send your insurance through several companies and pick the best rate. Joe himself has changed insurance companies four times in the past couple of years. Tip #2: Don’t just recognize the savings, but make sure they go straight to your pocket automatically. Use apps like Rize to automatically save this new money to put toward your goals. For example, Joe and his wife saved $30 a month by cutting their cable. Instead of spending that money on random things, they used Rize to send that money automatically to their Germany fund. With Rize, you set a goal and how much money you need to save for said goal. Rize will then tell you how much money is needed each month to reach your goal. Rize will transfer this amount straight from your checking account into your savings account automatically. You can do the same thing at your bank, but Rize gives you power ups. It can detect extra savings each month and save it automatically. Also, it can raise your savings by 1% each month. If you are going out to eat, use a program that works with your credit card to give you mileage points. You can also use an app like Debitize, which turns your credit card into a debit card. This way you keep your money for everyday usage. By automating your savings, you put your money to work. 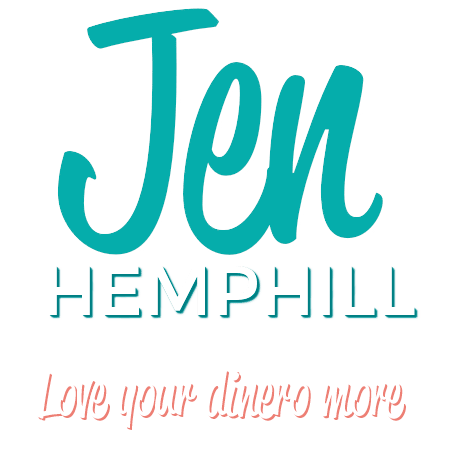 Tip #3: The amount of money you make has nothing to do with what you spend. Figure out how much you need day to day and have it direct deposited to your checking, with the rest sent to savings. When you have less in your checking, you spend less. Setting systems makes us adjust to them. Tip #4: Catch the money that’s slipping through the cracks. The Declutter app is the “lazy man/woman’s eBay”. Using the camera, the app tells you how much money it will give you for CDs, DVDs, books, etc. When you wish to sell the items, they will send you a box and a shipping label, and they’ll even pay for the shipping! 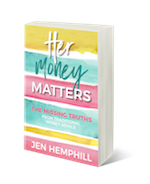 The post, Finding That Money You Didn’t Know You Had With Joe Saul-Sehy | HMM 135 appeared first on the Her Money Matters Podcast.